The UP "Big Boy" was rated to pull 8,727 tons. UP is restoring Big Boy 4014 and hoping to have it out next summer, will definitely be something to look for. May be worth a trip out west. 0-4-0: Earliest functional steam locomotives, such as the B&O “Grasshopper” and the “Best Friend of Charleston” in SC. These engines had four drive wheels (two powered axles), no guide wheels of any kind, and an upright boiler on an open platform, resembling a moonshine still on rails. Though having all the locomotive’s weight on powered axles helped with traction, these engines tended to wobble badly from side to side on straight track, especially if the wheelbase was short. The space between the rails had to be wider than the distance between the wheel flanges, allowing opportunities for unwanted rotational movement, also known as “hunting”. Also, the lead axle was constantly trying to climb over the outside rail on curves, especially when sand was being used to help with traction (in later models), as inertia made the engine want to go straight. Thus, the top safe speed of these engines was severely limited. The 0-4-0 wheel configuration survived in the long term only in yard switching engines, which never went fast, never traveled on curvy track, and needed as much traction as possible to get long strings of cars moving. 2-4-2 / 4-2-0 / 2-2-2 / 2-4-0: Early experiments with guide wheels, in order to achieve higher safe speeds. Sets of four front guide wheels were attached via swivel mount, while single pairs were semi-rigid. Powered axles were always rigidly attached to the frame, while trailing guide wheels were mounted on a trailing arm style pivoting triangular frame, with a slide plate under the cab. Once these suspension standards were established, they lasted throughout the steam era. 2-8-0: The logical next step beyond the 2-6-0. It quickly became America’s standard low speed branch line freight engine, a niche that it filled until the diesel era. Thousands were built. They also pulled mixed freight and passenger trains on low speed branch lines. Maxing out at around 2000 HP, it was a perfect match for the assignment, in every way, including economics. Today, it is the most common surviving steam engine configuration. 2-10-0: Rare, heavier, mountain version of the 2-8-0. 2-8-2: Larger, heavier version of the 2-8-0, used on mainline freight. Trailing guide wheels improved curve transition stability at higher speeds, helped support the weight of longer and heavier fireboxes, and allowed higher speeds in reverse. Built in large numbers. 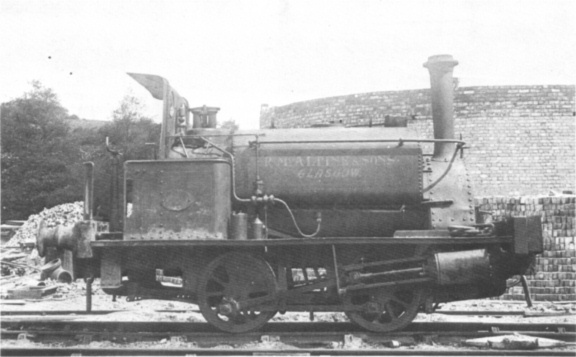 2-8-4: Relatively rare variant of the 2-8-2, designed for long mountain grades where a larger and heavier firebox is needed, for a larger fire to maintain steam pressure. 4-6-2: The configuration that finally replaced the 4-4-0 on passenger trains, once and for all. Once the designers settled on this configuration for passenger train engines, they shifted their focus to making it bigger, faster, and more powerful. It holds all the important speed records for the steam era. In flat regions, the newest and most advanced designs could pull trains in excess of 100 miles per hour. 4-8-4: Larger and heavier, higher powered version of the 4-6-2, for larger and heavier passenger trains on steeper grades, almost as fast as the 4-6-2. Some were used for high speed priority freight. 2-6-6-2 / 2-8-8-2: These were among the largest, heaviest, and most powerful steam locomotives ever built, anywhere in the world. These 4-cylinder designs had two sets of drive wheels, with the rear set of 6 or 8 wheels rigidly attached to the main frame, while the forward 6 or 8 rode on a subframe that featured a rear hinge and multiple slide plates ahead of the hinge that were designed to bear tremendous weight loads. The front subframe assembly had the ability to swing several feet out from under the nose of the boiler, creating a bizarre appearance on sharp curves. That assembly functioned as guide wheels for the rear half of the engine, enabling good stability at good speeds. 2-6-6-4: Higher speed freight version of the above designs, for priority trains such as fruits and vegetables moving from the Southeast to the Midwest. The world’s highest horsepower surviving steam engine is a 2-6-6-4, the Norfolk and Western #1218. This is as far as we got with transportation engineering technology before diesel / electric locomotives became dominant. Please don't forget the 4-6-0 'Ten Wheeler,' a design that is credited with breaking America's reliance on the 'American' (4-4-0) design. First used by the Philadelphia and Reading in 1840, they were quite common throughout the north during the CW era. OMG! I can see why those didn't sell. Too many moving parts, and too little weight on the rear drivers when water and coal were running low. Also it would have been hard to keep six steam cylinders fed from a single firebox, except for a short burst of power. Not a very practical design for daily operations. I thought steam locos in the U.S were for the most part wood fired. In addition to the decreasing availability of cheap wood and the increasing availability of cheap coal, the volume of wood needed to keep a >2000HP steam engine fed would have been ridiculous. A tender full of coal was good for at least half a day. Efficient use of space was why the Shay, Climax, and Heisler logging engines led the transition to coal. the issue of maintaining coal and water on these beasts must have been a logistical nightmare. For engines in the 6000 HP range, coal was not so bad to deal with. Water was the issue. Second tenders, water only, were not uncommon. A quick look at other railroads in the rest of the world shows that the preferred method for overcoming steep inclines was the use of a second engine but for the most part the second engine (banking loco) was only a small loco intended for giving a train a quick shove up the hill. We sometimes used pairs of steam engines up front on passenger trains, perhaps most famously on the Southern Crescent to Atlanta and New Orleans; giant, high horsepower 4-6-2 steamers in green and gold paint, but our preferred method for freight was to station pusher crews at the foot of the steepest grades, assisting from the rear. Any large engine would do, but in extreme cases like in the Virginia / West Virginia coalfields where numerous long coal trains caused major smoke problems in long tunnels, pushers were switched over to electric. For decades, Norfolk & Western kept steam up front but pushed only with pairs of electrics. Nearby, the Virginian experimented with electric engines front and rear. These trains averaged around 75 to 90 cars, 75 tons each. Now what I’d really like to see are pictures of these engines on shed, I can only imagine the size of the lifting gear used just to replace a wheel with a flat spot. The shop cranes were hefty, but the weight wasn't quite as extreme as you might think, with some of the wheels and all of the water taken out of the equation. I assume that the 6-cylinder engines didn't weigh any more than the 4-cylinder models, due to bridge limitations. Try a Google image search on "Roanoke shops". I can't get the best pics to link. They were building the highest HP steam locos in the world. Please don't forget the 4-6-0 'Ten Wheeler,' a design that is credited with breaking America's reliance on the 'American' (4-4-0) design. Very true; the 4-6-0 was the transition passenger and mail train engine between the 4-4-0 and the 4-6-2 (Pacific). Unfortunately, I can't edit the OP and add a line. how much weight could those engines pull on a straight and level track? That's a complicated question. You're working me hard today. The hardest-pulling steam engine to ever run on US rails was the N&W class Y6b (21xx number series), which was modified in the 1950's to achieve a maximum pulling force of 166,000 pounds at its rear coupler, as measured by a dynamometer car. It's a 4-cylinder 2-8-8-2. Horizontally pulling 166,000 pounds on a coupler, how many loaded cars will that move on level? Hard to say exactly. A lot. Rolling resistance on a railcar at a low speed on dead level track is next to nothing. No such experiments were done, because 4-cylinder steam engines were built to keep up decent speeds on mountain grades, pulling standard trains of up to 90 cars. Practically, the flatland operations limiting factor would have been compressed air for brakes. It couldn't produce enough air for 300 cars, nor could the sidings or yards handle such a train. Also, good luck finding a perfectly level track that actually goes anywhere, even at the coast. In the real world, 0.5% is about as flat as it gets. As a locomotive accelerates, pulling force diminishes, and it eventually reaches a point where horsepower becomes more important to performance than starting traction. This is a different number for every design. Railroads want to run their trains at reasonable speeds, so for most mainline operations, they care more about horsepower. When the line is so steep that pushers are needed, they're content to just keep the train moving and avoid a stall. That's a small percentage of total miles. Everywhere else, they want to keep the speeds at or above 25, so they look primarily to the HP rating. The N&W 21xx series put out a maximum sustained power of 5600 HP at 25 MPH. On a 1% grade, it could maintain that speed with a train weighing a total of 5600 tons, or 75 cars weighing 75 tons each (45 x 125 tons); more at lower speeds. The one HP per ton per % rule works up to about 2.5%, where the performance starts dropping off a bit faster. You can find a 4-8-4 that puts out as much as 5300 HP, but on a grade exceeding 1%, good luck getting a long string of cars started with only four powered axles. Trying to figure out why anybody would want to build a 6-cylinder steam engine that had the same weight and physical size limitations as the 4-cylinder engines, looking at the science that comes into play, I can only come up with a couple of theories. First, reduced power and weight per axle would have been easier on smaller rails. Second, reduced weight per axle may have helped railroads with flimsy bridges that were short, because the entire locomotive would never be on it. Otherwise, a big 4-cylinder is a better option. I’m going to test your knowledge here, how much weight could those engines pull on a straight and level track? Baldwin built the only three examples of the type for the Erie Railroad between 1914 and 1916. The first was named Matt H. Shay, after a beloved employee of that road. It could pull 650 freight cars. The XA was unable to sustain a speed greater than five miles an hour, since the six cylinders could easily consume more steam than the boiler could produce. The tender had a four-wheel truck at the rear to help guide the locomotive into curves when drifting back downhill after pushing a train over the hill. The XA was sent back to Baldwin in 1920 and was rebuilt as two locomotives, a 2-8-8-0 and a 2-8-2. Unlike their progenitor which lasted only a few years in service, these two locomotives remained in service until 1953. Unlike some other giant locomotives of the period, the immense boilers could generate enough steam to make them a success on the slow (8 mph or 13 km/h) coal trains for which they were built. They remained in service until the 1940s and could be called the ultimate drag era locomotive. No locomotive example of this type survived into preservation. Unlike some other giant locomotives of the period, the immense boilers could generate enough steam to make them a success on the slow (8 mph or 13 km/h) coal trains for which they were built. They remained in service until the 1940s and could be called the ultimate drag era locomotive. Virginian claimed bragging rights over N&W with this ALCO engine, but the 8 MPH speed definitely earned it an asterisk in the record books. Forum rules against profanity don't allow me to talk about what any dispatcher would say about this speed, especially on a mostly single track railroad like the Virginian. I don't know where they could use it other than mine branch pickup and delivery runs, and on the double track from Mullens to the top of Herndon Mountain, in southern WV. If your engine won't run 25 consistently, it's not going to be widely respected as a mainstream piece of railroad equipment in the 20th century, or even the second half of the 19th. It can only be a niche product. N&W's #1218 was for many years the highest horsepower operating steam engine left in the US, and I saw it pull several railfan excursions. Currently, the 611 (4-8-4) is our most powerful steam engine that still runs on a regular basis. The #1218. Winston Link's favorite engine. I can always tell when the 611 is in my area. The sounds of it and of course that Whistle !! Love Winston Link's work, My brother gave me a great book about him and his work called Life Along the Line for Christmas a couple years ago. It came with a CD of recordings he made, great stuff. Did you ever get to see the clip of Winston riding in the #1218? He was able to climb up and look over the front of the engine while it was chugging down the track. He could not have had any more ability to enjoy that ride as much as he did that day. I'll have to look that up, I'm sure it was a special moment. The N&W Roanoke Shops "big three" models are very special in that they were continuing to refine these steam engine designs for several years after everyone else had given up and accepted that diesels were the future, so it's a somewhat unfair competition to compare the big three directly to the best products of ALCO, Baldwin, etc. While most had shifted their attention to diesels in the late 1940's and early '50's, N&W placed a value on loyalty to its most important customers, coal mines. I find it interesting that the group's horsepower ratings (J-5300, A-5400, Y6b-5600) are very similar, though their shapes and wheel configurations are quite different, optimized for different assignments. They all ran on the same tracks and over the same bridges, so all were subject to the same size and weight limitations; typical for the industry, they had to stay under a million pounds gross weight packed into a single ten foot wide package, which translated into a practical upper limit of just under 6000 HP, continuous rating. A passenger train on N&W rarely exceeded nine cars, and a class J 4-8-4 had more than enough powered wheels to get them started off on a grade. The upper end of its horsepower was used only in maintaining speeds between 60 and 70 where track conditions allowed it. Its large diameter drive wheels allowed top speeds beyond 100 in a test. Underneath her sheet metal "dress", a J looked very much like an ALCO 4-8-4. Hauling coal was N&W's specialty, and no steam engine did that better than a Y6 2-8-8-2. Many of the Y6a models received upgrades to Y6b standards. They were ideal for pulling long drags up the hill into Bluefield, and could maintain much higher speeds east of those towns where loaded trains didn't have to climb major grades. Even though coal customers wouldn't pay extra for speedy delivery, it was advantageous to dispatchers to keep those trains moving at a good pace across Virginia, to minimize congestion as these trains mixed in with faster, higher priority trains running in both directions on double track. On level or downhill, Y6 engines regularly pulled coal trains at speeds up to 50, limited by the cars, not the engine. After the Virginian acquisition in 1959, its single track main line east of Roanoke became N&W's flattest route to the coast, so it was used primarily as a one-way railroad, with empties returning westbound up the mostly double track N&W main. Looking at the impressive performance figures for the Y6, Roanoke mechanical engineers reexamined the articulated 4-cylinder concept to see what they could do with it in terms of building the ultimate versatile, multipurpose steam engine, with an emphasis on high speed mixed freight operations. The end result was the class A 2-6-6-4, likely the best all-round steam engine ever built. With six powered axles, it had enough traction to start anything but a coal drag on a grade. A top speed of 70+ would have allowed it to pull any passenger train on the N&W and get it there within 20 minutes of scheduled arrival. Its ability to bend in the middle would have allowed it to run on any branch line or coal mine spur. Best of all, its combination of 5400 HP and six powered axles allowed it to start and rapidly accelerate 50-car priority freights up to to track speed limits, and stay at the track limit until arrival. Its owners could ask for no more. This is as far as we went with the steam engine concept in America. The next step was diesel conversion, when it would take an F3 A-B-B-A set to replace a single class A. 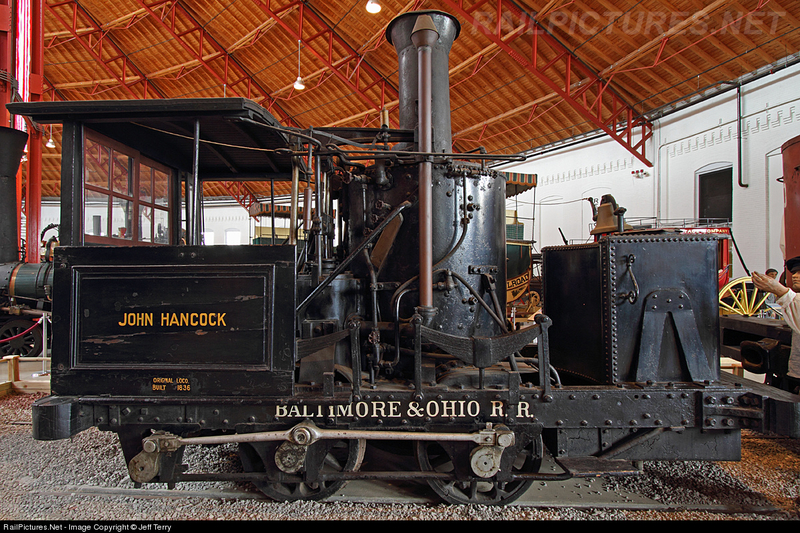 The last steam engine built in Roanoke was an 0-8-0 yard engine. I persuaded bdtex to edit the original post and add a line. Good catch. Thank you. I don't know why I left that one out. Going too fast, I guess. Not only have I ridden behind a 4-6-0 more than once, but I used to use them all the time in a computer game called Railroad Tycoon. A few posts back, I also made reference to a 2-8-8-2 as a 2-8-8-4, which as far as I know never existed, but I got it right in a more recent post. Someone mentioned the UP's Big Boy-that wheel arrangement is 4-8-8-4. Over 1 million pounds, fully loaded, a huge loco for the end of the steam era. There's also Lima's big 2-6-6-6s on the C&O, contemporaries of the Big Boy. The PRR did a steam turbine; I think the wheel arrangement was 6-8-6. The PRR did a steam turbine; I think the wheel arrangement was 6-8-6. The Pennsylvania Railroad's class S2 was a steam turbine locomotive designed and built in a collaborative effort by Baldwin Locomotive Works and Westinghouse Electric & Manufacturing Company, as an attempt to prolong the dominance of the steam locomotive by adapting technology that had been widely accepted in the marine industry. One was built, #6200, delivered in September 1944. The S2 was the sole example of the 6-8-6 wheel arrangement in the Whyte notation, with a six-wheel leading truck, eight driving wheels, and a six-wheel trailing truck. The S2 used a direct-drive steam turbine provided by the Westinghouse Electric & Manufacturing Company, geared to the center pair of axles with the outer two axles connected by side rods; the fixed gear ratio was 18.5:1. Such design was to prevent energy loss and S2 achieved a mechanical efficiency of 97% which means only 3% of steam energy was lost within the propulsion equipment. The disadvantage of direct-drive steam turbine was that the turbine could not operate at optimal speeds over the locomotive's entire speed range. The S2 was the largest, heaviest and fastest direct-drive turbine locomotive design ever built. It was scrapped in 1957. Steam turbines turned out to be practical only for stationary use, and in larger mobile settings such as ships. And thanks again to @Southern Unionist for starting this thread! That's because, like gas turbines, they are most efficient at constant speed, but high fuel consumption is the killer for rail applications. They are heavy, complicated, and have another weird problem best described as rotational inertia. The shaft and blades are so heavy and spin so fast that they start acting like a gyroscope, trying to stabilize the locomotive and keep it moving in a straight line and at a constant speed when it needs to do something else, such as slow down or go around a curve or ride through a dip caused by ballast settling. This caused some derailments, and premature wear on shaft bearings, wheels, and rails. Ships are so much heavier and change direction so smoothly and lethargically on the water that the gyroscope effect is not a significant problem. If we were trying to do the same thing today, we might get better results with some of the exotic, lightweight alloys used in jet engines, and high performance tapered bearings. Or maybe not, because expanding steam is quite different from burning kerosene. express passenger services to the west country and the Midlands respectively. The shell of 18001 is currently at the Didcot Steam centre, alas without it's machinery.